But, what happens when a claimant does deliver on a claim? One would imagine that a successful result for a claim of an unscientific nature would result in great riches and admiration for the claimant. In San Diego in the early 20th century however, this was not the case. Rainmakers are almost a thing of the past. But at one time rainmakers were far more common. Belief that human action can cause rain to fall is part of many cultures, though often tied in with a religious practice or ritual. Belief that gun fire could result in rainfall was suggested during the Napoleonic Wars. There was also belief that the gun and cannon fire during the Civil War would often cause rain. China still has rainmakers that use shells, but with a little more science attached. Charles Hatfield was a rainmaker, with his younger brother Paul. He believed he had developed a scientific way to encourage nature to release rain. His method, which was kept highly secret, involved building a large tower and chemicals. 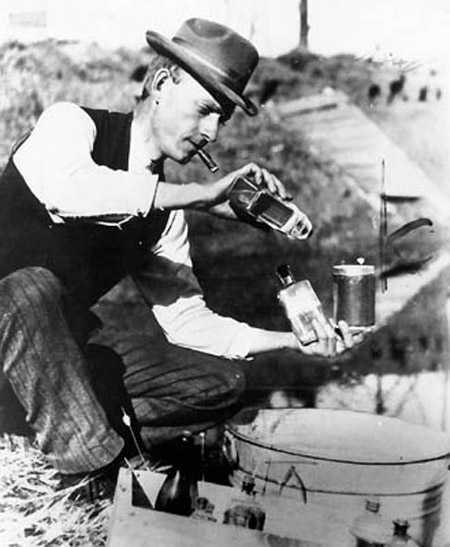 In 1904 Hatfield felt this method was successful in bringing rain to a drought stricken Los Angeles. Hatfield traveled around the country, claiming success after success with his method. However, one of Hatfield s contemporaries said of him that he could “Talk more and say less than any man I know”. Those familiar with psychics, dowsers and tarot card readers know full well what that means. Still Hatfield kept on with his rainmaking, as he felt he had to provide all the rain he had promised to the Morena Reservoir. By Jan.20 more bridges had been washed away, a train had been stranded in flooding and the new race track in Tijuana had to shut down. In one area over 100 families had been left homeless. 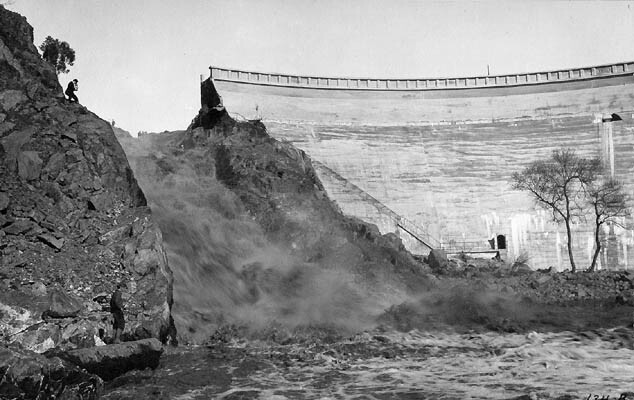 The worst was yet to come with the failure of the Lower Otay Dam on Jan.27. Over 13 billion gallons of water was released resulting in much destruction of property and an unknown number of deaths. (estimated at under 20). Failure of this dam resulted in $3,500,000 worth of lawsuits against the city. Hatfield, isolated at the reservoir, expected to be treated as a hero for his part in what seemed a very successful rainmaking result. He soon learned differently as many people blamed him for the damages. Hatfield took to carrying a gun for protection. On Feb.5 he tried to collect his fee of $10,000 from the city. This was declined. He was even told if he was willing to pay for the damages caused by the flooding, they would pay him his $10,000. Hatfield, ever the slick talker, pointed out that the loss of bridges and buildings would result in the need to hire workers to rebuild the structures. In other words, the flood damage was going to be good for the economy. The city council didn’t buy it. Hatfield offered later to settle for $1800, but was again turned down. He filed a lawsuit with the city, which finally quietly died from lack of activity in 1938. The question remains, did Hatfield cause the flooding? He himself claimed he did not, that he only caused whatever rain happened at the reservoir. Nature and God he said made the rest. Certainly he had no way to prove the rain in one area was from a different cause then all the other rain falling. The city was afraid that if they did pay Hatfield, then they would be admitting that their hiring Hatfield caused the rain. This would leave the city open to countless lawsuits. Only by distancing themselves from Hatfield, could the city claim the flood and damages were an “act of God”, for which they had no liability. « Halloween Haunted House Investigation!